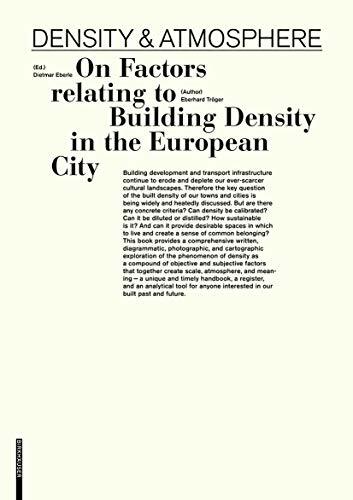 [PDF] Density & Atmosphere: On Factors relating to Building Density in the European City | Free eBooks Download - EBOOKEE! Description: This book offers a thorough study of the relationship between the characteristics of construction density and the ensuing atmospheres, distribution of uses and their value. It includes 36 case study examples in Zurich, Vienna, Munich and Berlin that were documented and assessed, from the outskirts to the center of the city with photographs and detailed map material according to ninedensity categories that take public space into account. No comments for "[PDF] Density & Atmosphere: On Factors relating to Building Density in the European City".